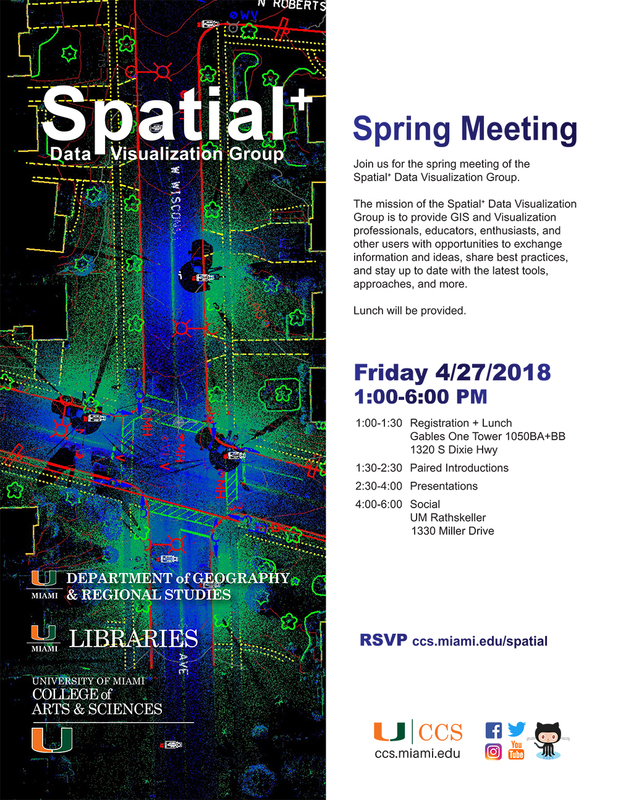 Join us for the 2nd meeting of the Spatial+ Data Visualization Group. The mission of the Spatial+ Data Visualization Group is to provide GIS and Visualization professionals, educators, enthusiasts, and other users with opportunities to exchange information and ideas, share best practices, and stay up to date with the latest tools, approaches, and more. Sponsored by CCS, the College of Arts & Sciences, Department of Geography & Regional Studies, and UM Libraries.